Ibiza - Portal Oficial de Turismo en Ibiza / Ibiza Official Tourism Website. During the Easter holidays, Ibiza becomes the ideal setting for numerous land and sea sporting events. The island of Ibiza is the ideal destination for celebrating and organising one of the most important days of your life, that magical occasion when you joyfully set sail on a new voyage. Awareness campaign about sustainability and responsible attitudes towards the island of Ibiza. Let's love Ibiza the same way as it has loved us. Join the initiative! UNESCO designated four local wonders—the Dalt Vila Acropolis and the historic centre of Ibiza Town, the meadows of posidonia seagrass, the Phoenician-Punic necropolis of Puig des Molins and the Phoenician settlement of Sa Caleta—World Heritage sites. Discover its parties, the wealth of traditions, its cultural spaces and don't miss a single one of the details. 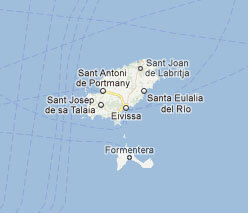 See the real Ibiza, the one that's got a little bit of every culture that has visited its shores. Nights on the white isle are endless and teeming with off the wall characters, art, performances and artists, hailing from far-flung locations and creating a one of a kind, cosmopolitan vibe. Find out why Ibiza's dance floors are the world's greatest. Soak up the authentic experiencia ibicenca with a little help from the best DJs in the world. Swoon for Ibiza's brand of Mediterranean cuisine. It's all about the freshest ingredients: from the sea, countryside and vegetable garden. Officially-recognised hallmark ingredients include olive oil, fruit, fish, Ibizan lamb, flaó and black Ibizan pork. Don't miss your chance to try them! With three hundred plus days of sunshine a year, Ibiza is an unbeatable spot for cycling, hiking, scuba diving, climbing or any sport you can think of! The music, the surroundings, the ambience and, of course, the sunsets. From dawn till dusk, this island of a thousand faces has got something to surprise you. Let Sant Antoni, Benirràs or any other point on the Ibiza coastline be your bird's-eye view of this totally-free spectacle. With its beaches, its nature, its wealth of flora and fauna, its culture, its traditions, its music or with any one of the other marvels the island has got to offer...Ibiza's thousand faces will win any visitor's heart. 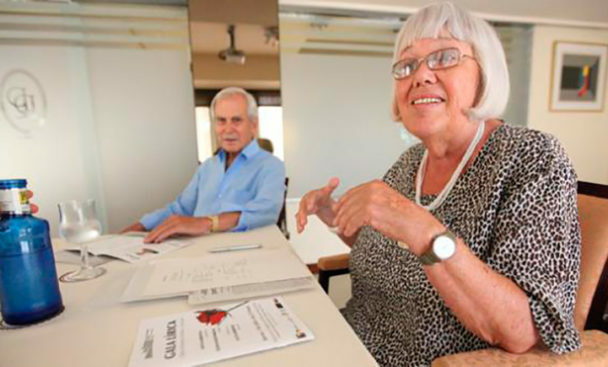 The Consell d'Eivissa has awarded the Medal of Citizen Merit to this German woman who brought some of the world's finest musicians to the island between 1988 and 2018. 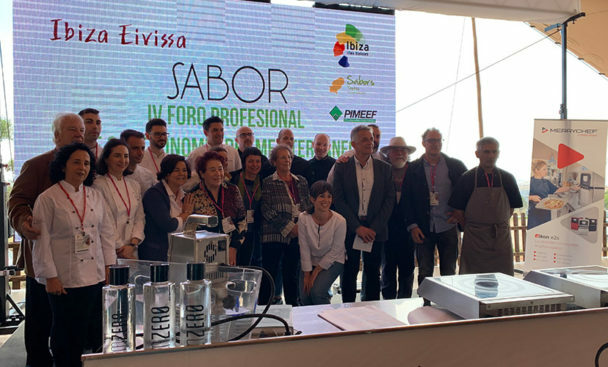 The island of Ibiza has today hosted the 4th Mediterranean Gastronomy Forum at the Casa Maca rural hotel, with the participation of some of Spain's most renowned chefs and a total of 10 Michelin stars. You can't talk about spring in Ibiza without mentioning food. 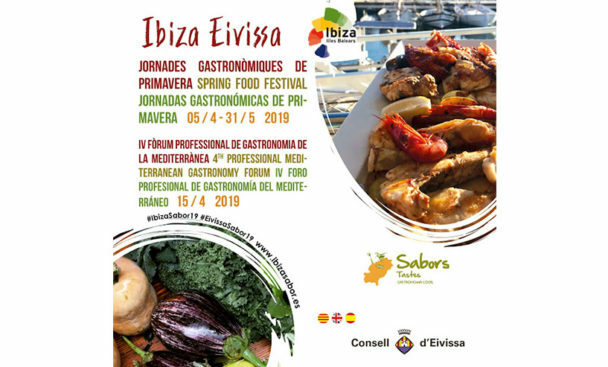 Within the framework of Ibiza Sabor, the island holds numerous special events to enjoy with the five senses: sight, hearing, touch, sight and, above all, taste and smell. Encuentra los principales eventos que se llevan a cabo en la isla de Ibiza. Discover everything you need to make your trip to Ibiza a success. Travelling to Ibiza has never been easier with the airlines and ferry companies that offer connections. Rent a scooter or car or take advantage of existing bus and ferry lines. Choose the right restaurant for your particular needs, no matter what’s on your mind or in your wallet, you’ll find the perfect fit. Hotels, inns, campsites, villas… Ibiza offers incredible variety in accommodation.